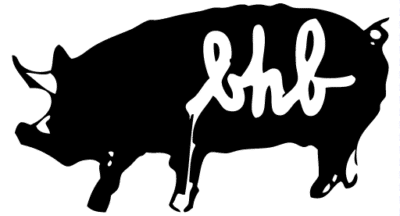 Black Hog Helps is the charitable wing at Black Hog Brewery, where we bring together our staff, customers, and neighbors to celebrate and give back. Our mission is to use the brewery’s products and facilities to support the community, with a focus on veterans, animals, and children. Since opening, giving back has been at the forefront of our mission. With Black Hog Helps, we can make an even larger impact by allowing charities to request donations, providing employees one paid day per quarter to volunteer at a charity of their choice, and holding charitable events so fellow beer drinkers can get involved. Each year we donate thousands of dollars of proceeds to local charities, and raise hundreds of thousands of dollars at fundraising events at the brewery. Initiatives include hosting local school sport fundraisers, collecting toys for a variety of organizations, and throwing a shelter dog adoption day at the brewery. From the first pour of Easy Rye’Da, a portion of proceeds has been donated to the National Motorcycle Safety Foundation (msf-usa.org), and a percentage of proceeds from the Farmland Series is donated to the Working Lands Alliance to support and protect Connecticut Farmland (workinglandsalliance.org). Are you ready to make giving a bigger part of your life, while throwing a few beers back with your friends? Follow us on Facebook to be the first to know about all the upcoming Black Hog Helps charitable events.